Lucifer’s attempt to be human after burning his wings last week was not off to a good start. His biggest battle this week had to be his jealousy, particularly towards Chloe when compared to her spending more time with her ex, Dan. Lucifer gets brushed off during his birthday celebration, which shocks him enough to have him visiting Linda. He apologizes for the way he reacted during their last session, but Linda isn’t looking for apologies. She is looking for answers to Lucifer’s behavior, and she finds them in Chloe and Lucifer’s subtle hurt feelings that he isn’t with her. This week’s crime centered around a therapist, Dr. Shaw, getting killed, and his approach to therapy might have been the reason for it. By encouraging his patients to cheat, the fact that he was killed was not very shocking. Needing a consultant, Lucifer enlists Linda to help so she could work her skills on Chloe and have her dump ”Detective Douche.” Because boundaries are not Lucifer’s thing, he makes sure Linda gets assigned to the case, and she immediately points in the direction of a patient who sent threats to Dr. Shaw. This leads them to a suicidal patient, who is about to end his life on the roof until Lucifer joins him to help. But Lucifer isn’t one to help, instead he stops Richard from falling so he could ask about jealousy. Except Richard’s jealousy didn’t lead to him killing his therapist, and from there, Lucifer helps the patient not jump. Thanks to Richard surviving, Chloe figures out that Sandy (Dr. Shaw’s wife) might be a suspect, with his cheating possibly pushing her to the edge. She lied about where she was two days prior, the day of his murder, and she could have been behind some threatening messages that Dr.Shaw’s patient received and reported. 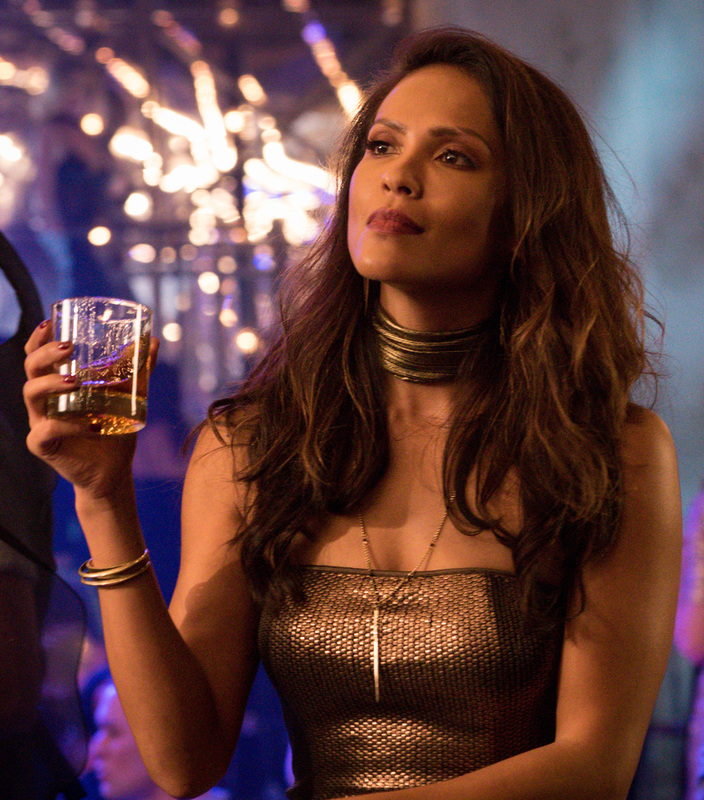 Maze and Linda have an interesting encounter, with Linda analyzing Maze and her backing down when she notices that there is more to the therapist than sleeping with Lucifer. This introduction is quick, but this friendship should definitely grow. Much like Chloe and Linda, their partnership on this case opens the door to more interactions in the future. It looks like any woman that Lucifer meets and sticks around can end up befriending the other. 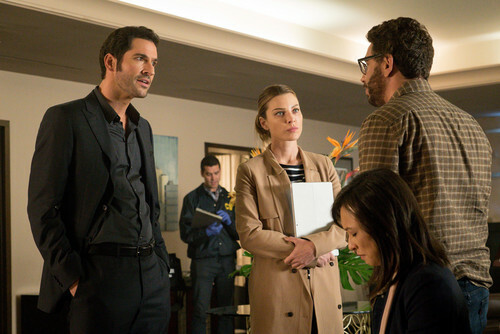 The odd one out is Lucifer who continues to spend the episode jealous of even the mention of Dan; Linda starts picking up on how serious this really is. Chloe takes a break to return to her Palm Meadow case when Malcolm appears at her house and calls her out on still working this case. He says he is also trying to figure out what happened, but Chloe doesn’t seem to trust him. Dan can’t lift prints off evidence that could bring them some answers which has them back at square one. Sandy reveals to the group that she was jealous, and she lied to her husband so she could spy on him. After Dr. Medina accidentally outed her husband’s affair, Sandy realized that he fell in love with his mistress but she never killed him. Lucifer’s frustrations with his jealousy and the lack of people on his side push him to attend a group therapy session led by none other than Dr. Medina. Lucifer hijacks the session and enrages Dr. Medina. Thanks to Lucifer’s magical desire powers, he realizes that Dr. Medina killed his partner because of his love for Sandy. While held at knifepoint, Lucifer once again misses the point of his jealousy because he is so lost in his need to be right. He doesn’t want to admit that his situation matched up with Dr. Medina’s until the case is solved, and he takes some time to figure it all out. Chloe tries to humor Lucifer by saying that he wasn’t like Dr. Medina. Instead she changes the topic, sharing with Lucifer what she found out about the Palm Meadow case. The duo ends up in a hotel room where someone else ends up murdered. They end up closing the case but something comes up after Dan and Chloe kiss. Dan has to leave because he has to meet in a shady parking lot with Malcolm where we find out that he shot him. Malcolm knows this, and he plans to use it to manipulate Dan to do his bidding for him. Dan looks remorseful but not enough for us not to wonder how this will play out in the future. Dan’s story as the faithful ex only worked for so long, him being involved in the dark side of things should stir stuff up for the rest of the season. Linda draws the line at her special arrangement with Lucifer, she realizes that it needs to stop shocking both of them. Lucifer accepts it graciously, instead choosing to refocus his suspicions on the doctor that moved in next door. After Linda confirms that the doctor looks like Lucifer’s brother, he pieces it together and realizes that he was betrayed. And that’s how we end the episode, watching Lucifer break off his ties with Maze. He accuses her of not having his best interests at heart, a move that has to shift the remaining episodes of this season. Between Maze and Dan, things are about to get start changing as we see the season wrap up. Previous ArticleTV Review: 11.22.63 - 1x5 "The Truth"
Next ArticleTV Review: Shameless (6x09) "A Yurt of One's Own"